UNIQUE Passive: Deals 26-48 (at levels 1-18) magic damage per second to nearby enemies. Range: 325. Deals 50% bonus damage to minions and monsters. Useless on Caitlyn XD LMAO! 1153171 BlackRoseGirl Useless on Caitlyn XD LMAO! Been trying this as a first item on Singed against AD Opponents, and damn it's surprisingly effective. The range is surprisingly high, and the damage itself is practically the equivilant of 75 + 3 per level AP into his poison. 1063142 GrandpaTheGreat Been trying this as a first item on [[Singed]] against AD Opponents, and damn it's surprisingly effective. The range is surprisingly high, and the damage itself is practically the equivilant of 75 + 3 per level AP into his poison. An odd buff/nerf to Sunfire Cape, it will do less damage if you rush it, but be slightly more damaging late game. Indeed. However I like it, especially on Garen - I'm free to get that brutalizer and maybe cdr boots before grabbing SC - without fear of losing valuable early dmg. 1006530 Vuks69 [quote=Aeadar] An odd buff/nerf to [[Sunfire Cape]], it will do less damage if you rush it, but be slightly more damaging late game. [/quote] Indeed. However I like it, especially on Garen - I'm free to get that brutalizer and maybe cdr boots before grabbing SC - without fear of losing valuable early dmg. 910397 Aeadar An odd buff/nerf to [[Sunfire Cape]], it will do less damage if you rush it, but be slightly more damaging late game. If i have 2 of theese does the sunfire capes together deal 80 magic damage to nearby enemies? Nope, because "UNIQUE" passives do not stack (The effect from the second Sunfire Cape will not add damage). 904549 Danierudesu [quote=Thorn Reaver] If i have 2 of theese does the sunfire capes together deal 80 magic damage to nearby enemies? [/quote] Nope, because "UNIQUE" passives do not stack (The effect from the second Sunfire Cape will not add damage). 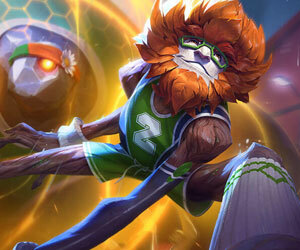 Mundo,Shyv and Amumu love this item ,is like bonus level for their Aoe abilities . 893259 venomancer9945 Mundo,Shyv and Amumu love this item ,is like bonus level for their Aoe abilities . Yup. It works especially well for Shyvana since all of her attacks are melee! 1153170 BlackRoseGirl Yup. It works especially well for Shyvana since all of her attacks are melee! And what about 2 sunfire capes in team on 2 bruisers, i guess still no stacking but did you tested it ? 807092 Fousek And what about 2 sunfire capes in team on 2 bruisers, i guess still no stacking but did you tested it ? I've been working on writing a build for shyvana. I rush sunfire cape after I get boots from a cloth and 5 pot opener. Lots of guides suggect phage, this item has more health, givess you armour, and great dps with your W. Grab phage after this, as the money pours in from your high health and armour. 687289 PWNDralisk I've been working on writing a build for shyvana. I rush sunfire cape after I get boots from a cloth and 5 pot opener. Lots of guides suggect phage, this item has more health, givess you armour, and great dps with your W. Grab phage after this, as the money pours in from your high health and armour. Well this item is good for champs that have a hard time to farm Minions like Nasus or Alistar and don't want to waste their Mana. Anyway it's not that great nor that bad. 577990 Xenodia Well this item is good for champs that have a hard time to farm Minions like Nasus or Alistar and don't want to waste their Mana. Anyway it's not that great nor that bad.